Sleep is an important aspect of the overall health of a person. Not only does it help restore our energy levels, but also helps healthy brain function so you can protect your mental and physical health. In fact, ongoing sleep deficiency is related to a number of chronic health problems while also having negative effects on your thoughts, behaviors, and concentration. In other words, without proper sleep, you risk problems at work, in relationships, and with your health. 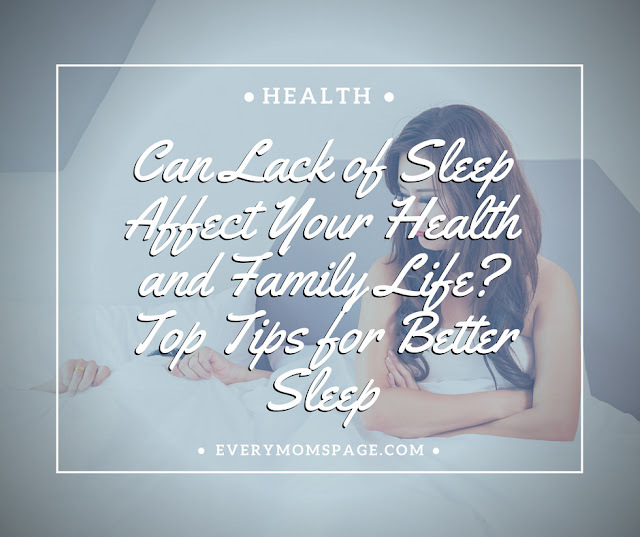 Fortunately, there are many ways you can improve your sleep, so you are well rested and ready to take on anything that comes your way. The following tips for better sleep which are simple to follow and effective. No matter what your age, exercise should be an uncompromising part of your everyday routine. It enhances the functioning of the immune system and improves the quality of sleep, although it is recommended to exercise at least 6 hours prior to sleeping. Also, exercise helps to drain you physically and mentally, so you feel more tired at night. Research shows that even morning exercise can help you sleep at night. Plus, exercise can improve many conditions, such as restless leg syndrome, that is known to prevent restful sleep. Make sure you go to bed the same time each night and get up at the same time each morning, even if you are on vacation. You're training yourself to learn a sleep cycle and to stick with it. If you do not fall asleep within fifteen minutes after retiring, do not lay there and fume. Get up and read, take a warm shower, or do something else that relaxes you. Stay away from the television or laptop, as they can leave you wide awake. Go back to bed when you start nodding off. However, if jobs or lifestyle does not permit schedules, then an alternative is to follow a similar activity timetable. For example, turning the lights down, changing into your sleeping clothes, brushing your teeth, or taking a warm bath all tell your body it's time to sleep. 3. Don't take alcohol or caffeine 8 hours before you sleep. Many people believe that drinking alcohol helps you to sleep, when in fact the opposite is true. Consuming alcohol prior to sleep interferes with the sleep cycle and arouses the body. Consumption of caffeine stimulates the body and prevents one from falling asleep as well. Many insomniacs are shocked to learn that their own behavior is a leading cause of sleep disturbances. Avoid caffeine or alcohol drinks for at least 6 to 8 hours before bedtime. Stress is a factor that effects of us in our lives. Balancing the demands of family, work, friends, having concerns about security and finances feature in many people's lives. Learning to prioritize effectively, delegate, share concerns, communicate how you are feeling can all go some way to establishing better balance and support strategies in our lives. A self-hypnosis technique is a good way of introducing relaxation and calm into your sleeping routine. Make sure you learn how to calm your mind and go to a comfortable, safe and familiar place. 5. Keep the room dark. Before you sleep, turn off your light, or use a very dim nightlight. You can pull curtains across, shut the shutters, or blinds down or so that you can prevent outdoor lights from shining in your bedroom. Make sure your mattress over every few months. Replace it after 5-7 years of regular use. When you feel ridges or springs under the surface when you are sleeping on the bed, or you and your partner roll to the middle of the bed unintentionally; it is time you buy another mattress. You may also find that the mattress is to blame if you find yourself sleeping better in another bed. Make sure you buy a comfortable mattress visit Sleeping Culture for your sleeping needs, make sure it is well-ventilated, have pleasing, comfortable decor. So many people treat their bedroom as part office, part storage area. Sleepless nights are normal when they happen occasionally. Persistent lack of sleep and drowsiness the next day could be symptoms of a serious sleeping disorder or disease. A doctor should be consulted if you’re sleeping habits or lack thereof is interfering with your personal and social life.